Kuijk, A.A.M, Mekuria, R.N, & Cesar Garcia, P.S. (2015). 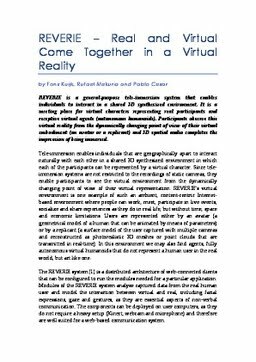 REVERIE: Real and virtual come together in a virtual reality. ERCIM News, 103, 35–36.